In recent years, computer and telecommunications products have been especially prone to investigation. In 2015, such products accounted for 27% of all Section 337 investigations by the ITC. That’s the same amount as the next three product categories combined. International patent infringement disputes represent almost 90% of Section 337 investigations. The process begins when a U.S. patent holder files a complaint with the ITC, indicating their belief that a Section 337 violation has occurred. Then, the ITC’s Office of Unfair Import Investigations (OUII) reviews the complaint and determines if an investigation is warranted. If the ITC chooses to move forward with one, they publish an official Notice of Investigation in the Federal Register. 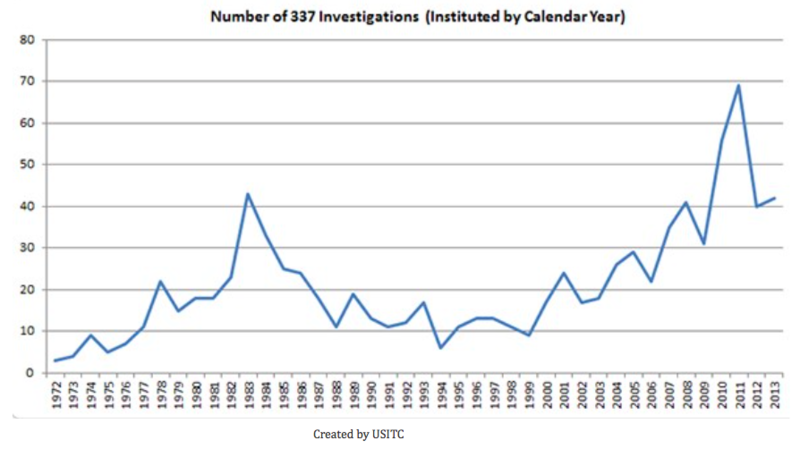 Nearly half of all Section 337 investigations result in a trial. On average, these trials take 18 months to resolve. ITC litigation is particularly challenging because it involves coordinating with international parties. Predictably, language barriers create difficulties, especially during the initial Discovery phase. Attorneys must review numerous patent documents, many or all of which may be in a foreign language. As the case progresses, depositions may take place throughout the globe. For the ITC to properly review the necessary materials, all must be translated into English. To ensure the utmost accuracy, it’s important to seek out professional patent translators attuned to the nuanced language of legal documents. Managing ITC patent litigation generally involves recruiting experts to handle such details. Failure to comply with such remedial orders can result in fines costing millions of dollars.